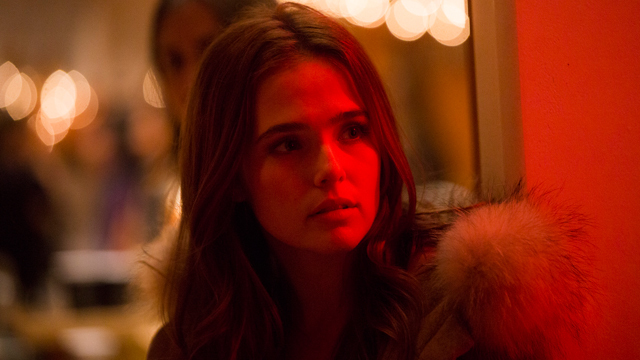 Zoey Deutch is forced to relive the final day of her life over and over in the upcoming Before I Fall movie from Open Road and Awesomeness Films. Based on the young adult novel by Lauren Oliver, published by Harper Teen, two Before I Fall movie clips have been released. In the first, Zoey’s character decides that she’s tired of playing things nice and decides to live out one of her loops while embracing her dark side. In the second, we see her terror as the clock ticks ever closer to the restart of her loop. Check them both out in the players below and catch the film on the big screen March 3, 2017. Directed by Ry Russo-Young (Nobody Walks, You Won’t Miss Me), Before I Fall follows Samantha Kingston (Deutch). She has it all: the perfect friends, the perfect guy, and a seemingly perfect future. Then, everything changes. After one fateful night, Sam wakes up with no future at all. Trapped reliving the same day over and over she begins to question just how perfect her life really was. And as she begins to untangle the mystery of a life suddenly derailed, she must also unwind the secrets of the people closest to her, and discover the power of a single day to make a difference, not just in her own life, but in the lives of those around her – before she runs out of time for good. The Before I Fall cast also includes Halston Sage (Neighbors, Paper Towns), Logan Miller (The Walking Dead), and Teen Choice Awards #ChoiceYouTuber winner Kian Lawley. Check back soon as CS recently sat down with Zoey Deutch and will have the exclusive video interview available to view shortly. What do you think of these Before I Fall movie clips? Let us know in the comments below!